﻿ Chicharito: "Cristiano Ronaldo will always want to be the best"
28.09.2015 » Chicharito: "Cristiano Ronaldo will always want to be the best"
Javier Chicharito talked with MARCA journalists in Germany this past Sunday, reviewing his recent journeys in Manchester and Madrid, as well as his new adventure in the Bundesliga with Bayer Leverkusen. The former Manchester United and Real Madrid forward has taken some time to sit and chat with MARCA representatives this past weekend, talking about his experiences ever since he got to Europe in the summer of 2010 and what it meant to him to have had the chance to play for such illustrious clubs such as United and Real Madrid. Javier Hernández or just Chicharito to those who prefer calling him that way, was also asked to reveal what he had learned the most from teammates like Cristiano Ronaldo and he basically highlighted the Portuguese's constant drive to improve and be the best player in the game. After playing a full season for Real Madrid on loan from Manchester United, Chicharito ended up getting transferred to Bayer Leverkusen this past August, for a fee reportedly around the 7.3 million pounds. The Mexican forward never really delivered at the level most people expected from him and finished last season with a record of 33 apperances and 9 goals for the Merengues. Now it's time to look ahead and embrace a new challenge in a new country. 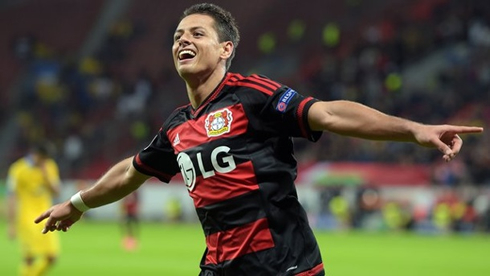 Chicharito: "Life is going well for me here in Germany. I'm very happy right now. I've always lived with a lot of people out there comparing me with my father and my grandfathe and to be honest that's something that no one in my family likes that much... I just want to get the most out of this experience. I signed a 3-year contract with Bayer Leverkusen and I'm here to learn and enjoy the ride", stated the 27-year old. The Mexican striker has only the chace to star for Leverkusen in 5 games this season, 4 of those in the Bundesliga and 1 in the UEFA Champions League. He scored 2 goals so far, one in each competition, but he'll have a golden opportunity to increase his tally in a special stage this Tuesday night, as Barcelona will be hosting Bayer Leverkusen at the Camp Nou, for the Champions League second round of fixtures. Chicharito: "Health is the most important thing in life. I just thought the he got really unlucky with happened to him and seeing a professional colleague getting injured is always bad news. I wouldn't even understand someone who could think in a different way...", replied the Mexican forward with the usual class he also shows in front of goal. During his 12-month stay in Madrid, Chicharito naturally ended up making a lot of friends in the club. Besides confessing that he still gets in touch with some of his former teammates like Keylor Navas, Modric and Sergio Ramos, the 27-year old also talked about what he impressed him the most in a star player like Cristiano Ronaldo. Chicharito: "I always try to be open and willing to learn from everyone around me. From Cristiano Ronaldo I obviously learned a lot, but it's the competitiveness with which he approaches everything in life that really inspired me. 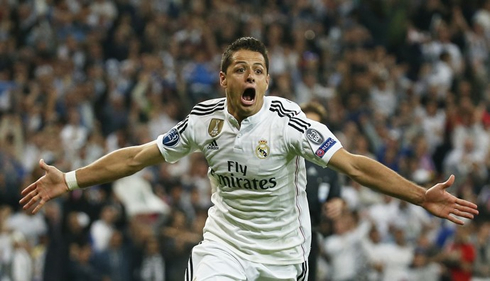 He always wants to be the best in everything he does", commented Javier Hernández. Cristiano Ronaldo next game will be for Real Madrid on the 30th of September of 2015, against Malmo. You can watch Juventus live stream, Malmo vs Real Madrid, Barcelona vs Bayer Leverkusen, FC Porto vs Chelsea, Arsenal vs Olympiacos, and Bayern Munich vs Dinamo Zagreb, all matches delivered in our football live section.